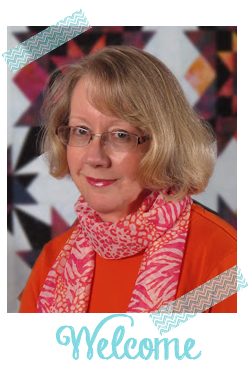 52 Quilts in 52 Weeks: Grow Your Blog: We have a Winner! 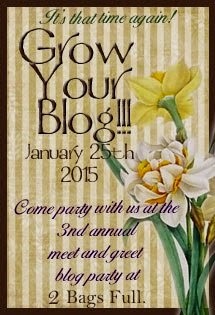 Thank you, Vicki at 2 Bags Full, for hosting this year's "Grow Your Blog" party. More than 400 bloggers participated, and 52 Quilts received 179 comments on the giveaway! 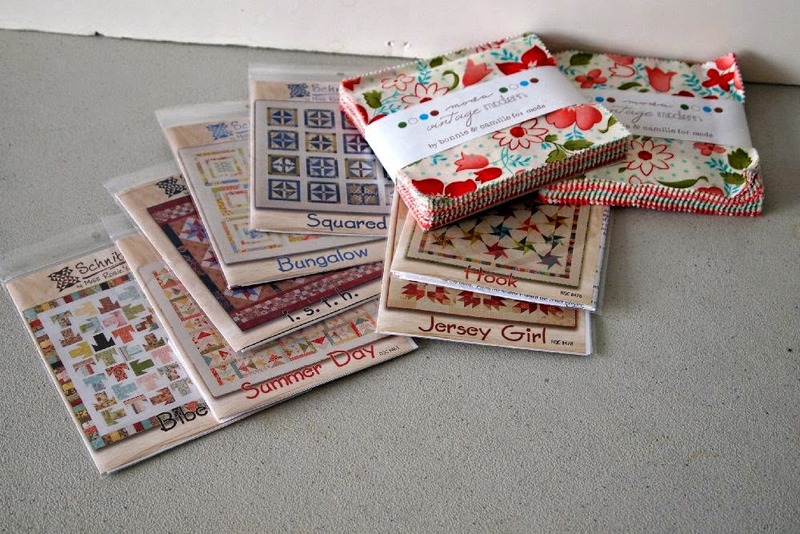 For my giveaway this year, I have seven of Miss Rosie's "Schnibbles" patterns plus two charm packs of Bonnie & Camille's Vintage Modern to give away. I am a recently retired (yea!!!) quilter and I sew and crochet. My quilts are more traditional and practical as I make 10-20 charity quilts a year for the Pediatric Infusion Therapy Unit (kids chemo) at Mayo Clinic/St. Mary's Hospital when I go there for my own follow-up visits. I've send you an email asking for your postal address.